Otherwise called corporate hub in north India, Gurgaon has a lot to offer to its visitors. Especially, if you are first time visitors, the city might overwhelm you. The rising popularity of the city as a good destination to spend the vacation, can’t be ignored. The city has plenty to offer to its visitors, from luxurious shopping malls to sleek office complexes, from amusement park to adventure tourism, and significantly more. 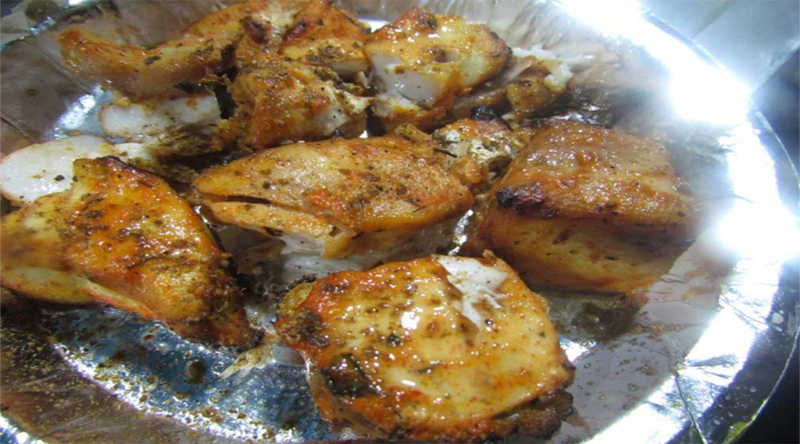 Quickly book a Faridabad to Gurgaon cab and explore the popular food joints in the city. Given below are some of the most popular street food of Gurgaon. The shop is in New Colony, Old Gurgaon and 33 years old. Their menu is really focused and they generally sell tandoori fish or surmai fried. The surmai fried is a must have. They keep a huge chunk of marinated surmai and as you order your dish they cut a piece from the chunk, cut and fry/tandoor it. And, this all happens right in front of you. They add tangy masala and a few freshly squeezed lemon drops to add more flavor to the fish pieces. Needless to the final dish is a blast of flavors. Note that, the eatery opens only in winters. 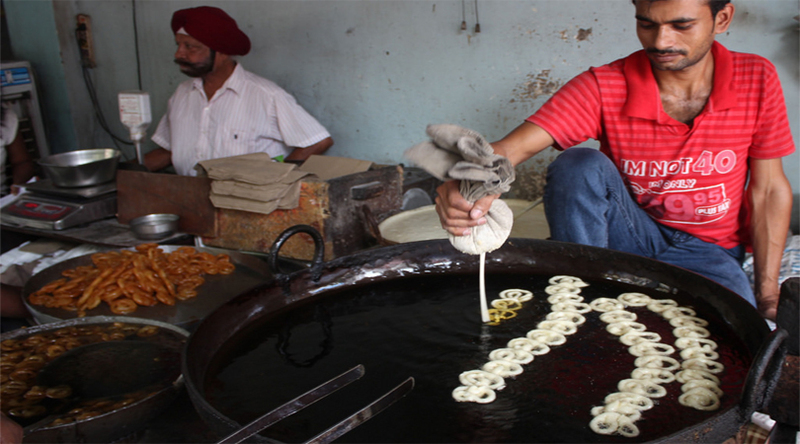 This highly sought-after Jalebi Wala is situated in Sadar Bazaar, Gurgaon. It’s well known for dessert cuisine as well as for serving sweets & namkeen that go perfectly as evening snacks. It’s one of the most run after jalebi shops in the city, and they guys at the counter have to go through a tough task of managing the long queues. The devoted staff continues to be working in the store for 20-30 years – serving individuals who don’t mind waiting in line to get a flavor of the traditional Indian sweet. Note that the eatery is 66 years old. The restaurant serves a pure vegetarian menu and probably every resident in Old Gurgaon must have been to the place. Their most popular dish is the well-known Indian dish Chole Bhature. The pricing is quite affordable and lately it has become a pit stop for the people passing by. Since it is in Sadar Bazaar, which remains constantly packed, so the eatery is often filled with people. Lots of folks from little villages / towns who come to Sadar Bazaar for shopping prefer to have lunch at the restaurant. The seating area is not large and can only handle around 20 -25 people at a time. Still, it remains one of the most popular eateries. This little shop is also situated in Sadar Bazaar and quite close to Sardar Jalebi Wala. The store is 40 years old and saw three generations of owners. It is believed that the idea came from the grandfather of the current owner. This budget eatery is renowned for serving some delicious pakodas and there is always a line of hungry people. 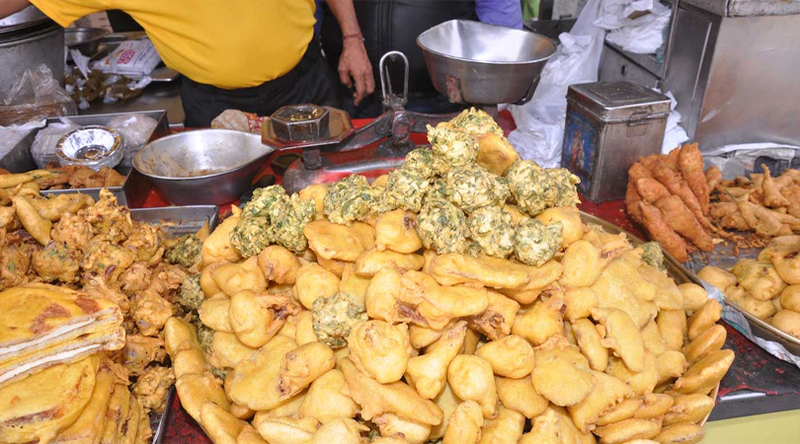 You can start with the pakodas and then try the jalebi of of Sardar Jalebi Wala if you have a sweet tooth. That concludes the list of some of the most popular street foods of Gurgaon. You might also like to try Kathi Rolls, street snacks and chaats, and juices and shakes. 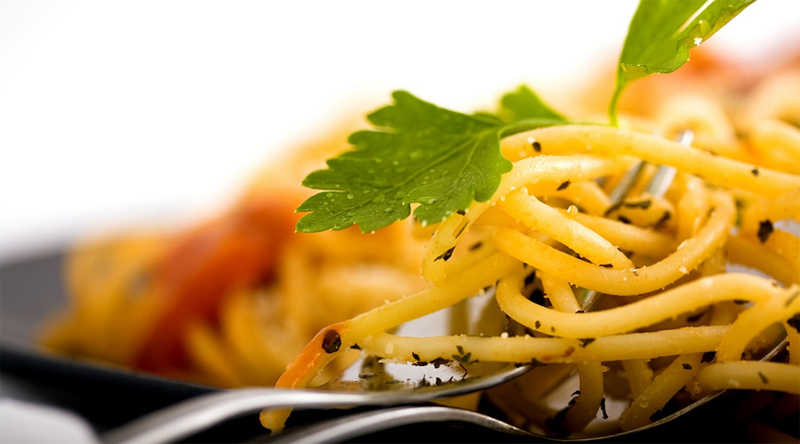 Keep in mind to visit the most popular eateries once you have explored places to visit around Gurgaon. 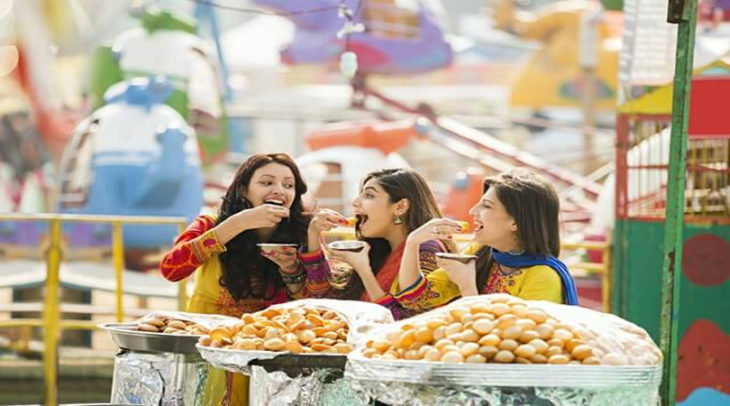 Or, you can devote the entire vacation on trying the sumptuous food of the city. The choice is yours to make!